New Trailer for Neil Gaiman's "AMERICAN GODS"
STARZ released a new trailer for the upcoming season of Niel Gaiman's "AMERICAN GODS." "When Shadow Moon is released from prison, he meets the mysterious Mr. Wednesday and a storm begins to brew. Little does Shadow know, this storm will change the course of his entire life. Left adrift by the recent, tragic death of his wife, and suddenly hired as Mr. Wednesday’s bodyguard, Shadow finds himself in the center of a world that he struggles to understand. It’s a world where magic is real, where the Old Gods fear both irrelevance and the growing power of the New Gods, like Technology and Media. Mr. Wednesday seeks to build a coalition of Old Gods to defend their existence in this new America and reclaim some of the influence that they’ve lost. As Shadow travels across the country with Mr. Wednesday, he struggles to accept this new reality, and his place in it." Here is the trailer for the new season of "AMERICAN GODS." 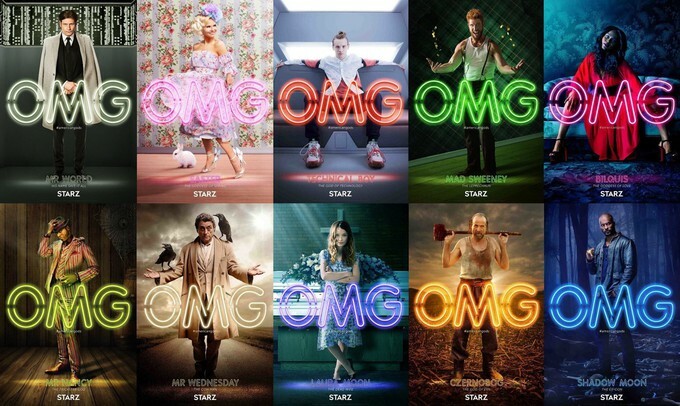 I absolutely loved the first season, and I can not wait for "American Gods" to premiere March 10 on the STARZ network. How many of you out there in Geeklandia are worshippers of Gaiman's "American Gods" show?